According to a recent report funded by the European Commission for the public transport and travel industries, around 25% of the population may be experiencing mobility issues at any one time. That's a lot of people. 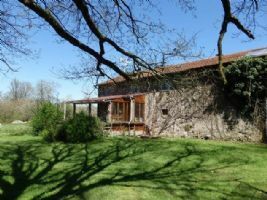 If you or a family member falls into this group, you might think you have to shelve your dreams of a home of holiday home in France. However, think again! 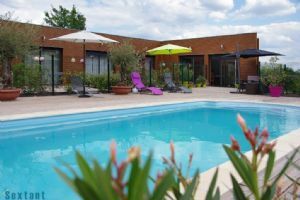 There are some wonderful properties in France that have been adapted to offer disabled access and to make life generally easier. What's more, you may also be able to continue receiving your disability allowance even after moving to France, thanks to the 2007 ruling from the European Court of Justice (Benefits in France for UK Ex-pats). So, no need to put the dream on hold after all. We've done the hard work for you, and found ten of the best properties from all over the country, that offer good access for disabled people. 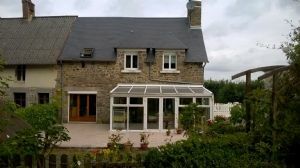 Moving to France, whether you are disabled or not, sometimes means that you need a little extra income to replace the income from the job you had in the UK. Or, maybe you just want to finance the purchase of your holiday home. 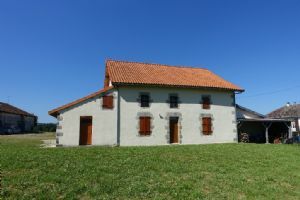 Either way, you can find that extra income with a property that has a gite, or which is even an hotel or chambres d'hôtes ( Buying a Business in France). A lot of these types of properties have already been snapped up so they aren't always easy to find, but we've got some beauties here to try for size. Some people just don't like the idea of one level living, however convenient it may be. So, if you prefer a house to a bungalow, but you're disabled and find stairs a problem, don't worry, there is an answer. You can either have a lift fitted, or there are properties with lifts already in place. It's just a matter of finding them. And if you are considering buying a property with a disabled access in France, make sure you do it this year. 2018 is a great year for buyers, as French properties have been reduced in price, or have been realistically priced in the light of the economic situation. Now really is the time to grab a bargain. So why not take a look at our selection of properties below? 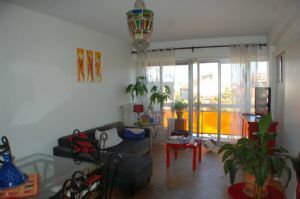 Nice crossing appartment on the 4th floor in a building with lift, situated in Montauban town center. Balcony, cellar, secured entrance for this appartment rented. Bright living room 21 sqm, two bedrooms, fitted kitchen, direct walking access to all amenities An ideal rental investment. 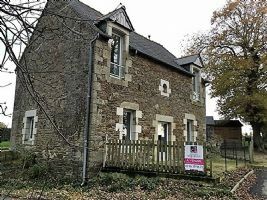 Four bedroom semi-detached house fully renovated in a quiet village in Lower Normandy a few miles from Hambye. The property benefits from heating via a heat pump, double glazing, a large conservatory, garage and being tastefully decorated throughout. One bedroom is on ground floor - ideal for anyone with handicap or elderly. Nice conservatory overlooking garden. Property is within easy reach of ferry ports and the coast is only 25 minutes away. Set in a small hamlet, just outside a village with a local bar, this is an exceptionally well renovated home, which also has the benefit of being suitable for people with reduced mobility, with easy access ramps to both entrances and a staircase fitted with a stair lift. I would strongly recommend a viewing on this property, it is quite stunning. The towns of Le Dorat and Bellac with all their shopping, bars, restaurants and amenities are 8 and 23 minutes away; respectively. 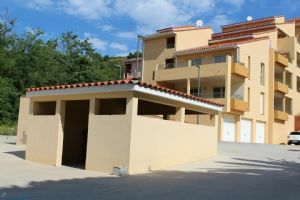 In Banyuls sur Mer, 2 bedroom apartment, on the 2nd floor of a 3 story building, NEW. Secured residence with lift, facing the sea and the Rocky Coast', 50 metres from the beach, built in accordance with latest standards. Description : Entrance hall, equipped kitchen opening on to a living room, 2 bedrooms with wardrobes, 1 wash room, 1 toilet, wardrobe. Very beautiful terrace, 1 parking space. Furnished cottage among 12 other small stone residences in a landscaped park with pools. 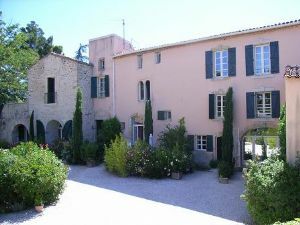 Annexe of a former priory, converted into a furnished cottage of 85 m² with one bedroom and and an equipped kitchen. The whole landscaped park of the priory and the 2 swimming pools are in coproperty between the owners of each cottage. Wheel chair access to this home. Exclusive use of a small garden of 50 m² and 2 terraces. Excellent rental income! Superb setting! Rare. A property complex of 350 sqm, including a main residence of 5 bedrooms, a cottage and an independent house. The main residence has 5 bedrooms, they all have separate entrances, ground floor house, meets disabled person's standards. Every bedroom has an en suite bathroom, WC, flat screen TV, wifi, a terrace overlooking the heated outdoor pool. The breakfasts are served in a spacious and bright room facing the swimming pool (heated outdoor). There is a private parking closed. 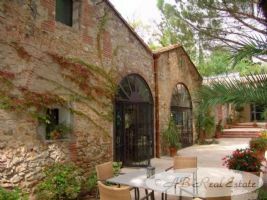 This charming and authentic property is located at the edge of a lively village in the greater Perpignan area, Languedoc Roussillon, South of France. The property has been entirely restored and extended about 12 years ago. All bedrooms are offering comfort with an en-suite shower room, a desk, wifi, TV and a wardrobe as well as access either to a garden terrace or a patio terrace. Some of the rooms are prepared to receive disabled guests. The double beds can be split to get two single beds.